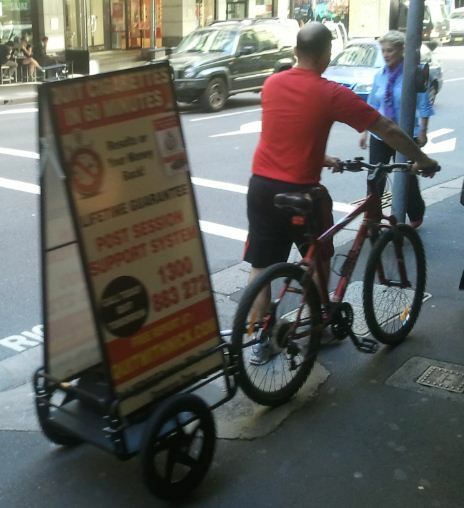 Yesterday, I saw a roving bicycle billboard in the city; I actually saw it twice; once on the way to work, and then again at lunchtime. It wasn’t actually being ridden at lunchtime, just pushed along the pavement, but I did manage to snap a rather grainy pic. It’s definitely an improvement on those horrific mobile billboards you see on the back of trucks. Frankly, they should be banned – clogging up the roads and burning fossil fuels just to try and get people to consume yet more products they don’t really need. At least bicycle billboards are eco-friendly. I’m all for them clogging up the roads too, actually; getting more slower vehicles onto the streeets is a great way to calm down the traffic, even if it comes at the expense of a few more frazzled drivers. Serve ’em right for driving. Time will tell if these become a fixture in cities all over Australia. For Father’s Day I got bought a book about bicycles. What fun! I’m also in awe of Mrs Chillikebab’s ability to remember and organise this kind of thing just days after having a baby; that’s assuming that she did so and it wasn’t Toddler Chillikebab using her initiative and ordering it online – something that is entirely possible, given the expertise with which she wields the computer mouse. (I also got a rather handsome tin of biscuits too, so I suppose my Father’s Day gifts lived up well to the ‘Books Biscuits and Bicycles’ mantra). 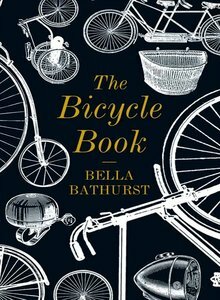 In this easy to read and quite entertaining book Bella Bathurst looks at various aspects of cycling culture – she visits a framebuilder and makes her own bicycle from scratch, she gives some insights into the historic role bicycles have played in wartime and as vehicles of female emancipation and she interviews a range of cyclists, from Tour De France racers to bicycle couriers. It’s a fun read, but for me also a little frustrating. For this is the picture of cyclists as the outsiders; as unusual people pursuing a passion that is understood by only a few. It’s essentially a range of portraits of different cycling sub-cultures which, whilst illuminating and entertaining, has virtually nothing to say about cycling as something normal. In one short passage Bathurst describes riding in Germany as something ‘strange’, where cyclists ‘have nothing to prove’. It rather leaves the impression that Bathurst (a cyclist herself) rather wants there to be something to prove and actually prefers the aggression-laden streets of the UK to the bike paths of Germany and Holland. It’s a point I touched on in this post a little while ago. Still, it’s a fun book that will raise a few wry smiles from any keen cyclist. Apologies, dear readers, that your biscuit reviews have not been forthcoming over the past few weeks. The very exciting reason for this is that there is a new addition to the Chillikebab family; Baby Chillikebab II was born about a week ago. 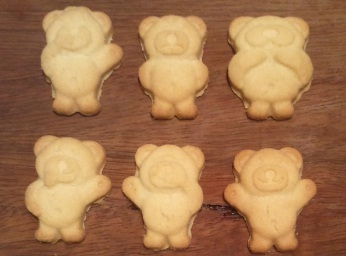 Once again, we have the six Tiny Teddy characters – Cheeky, Grumpy, Silly, Hungry, Sleepy and Tipsy. This time I have included a picture of all six, so you can have fun matching them up, or not if you prefer. 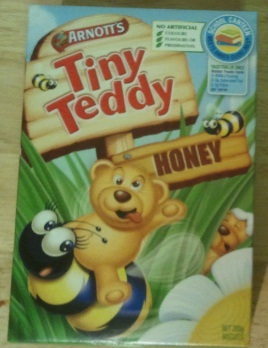 They are made with 5% honey, so do have a definite honey taste. They are also nice and crunchy, which makes eating them kind of like the Ursidaen equivalent of whitebait. They are quite pleasant; I’d say worth a five out of ten.